Public History and the Food Movement argues that today’s broad interest in making food systems fairer, healthier, and more sustainable offers a compelling opportunity for the public history field. Moon and Stanton show how linking heritage institutions’ unique skills and resources with contemporary food issues can offer accessible points of entry for the public into broad questions about human and environmental resilience. They argue that this approach can also benefit institutions themselves, by offering potential new audiences, partners, and sources of support at a time when many are struggling to remain relevant and viable. Interviews with innovative practitioners in both the food and history fields offer additional insights. 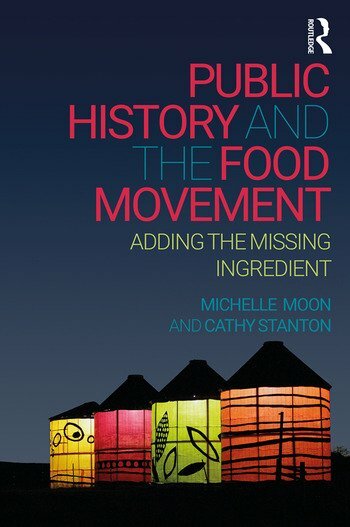 Drawing on both scholarship and practice, Public History and the Food Movement presents a practical toolkit for engagement. Demonstrating how public historians can take on a vital contemporary issue while remaining true to the guiding principles of historical research and interpretation, the book challenges public historians to claim an expanded role in today’s food politics. The fresh thinking will also be of interest to public historians looking to engage with other timely issues. Epilogue: How Do We Measure Success? Michelle Moon is Director of Interpretation and Program Evaluation at the Newark Museum in Newark, New Jersey, USA. She is the author of Interpreting Food at Museums and Historic Sites (2015) and maintains an active practice in museums, food, and community resilience. Cathy Stanton is a Senior Lecturer in Anthropology at Tufts University, USA. She is both a scholar and a practitioner of public history, with a particular focus on the uses of history and culture within both urban and rural redevelopment projects.